Rely on Southern Fabricators, Inc., to satisfy your need for fabrication and welding services. Since 1968, our family-owned-and-operated business has been your source for everything from sheet metal fabrication to custom welding. As your source for incomparable workmanship at competitive prices, our company is looking forward to serving you. Contact us in Polkton, North Carolina, for accurate and efficient metal fabrication and welding services. Our skilled craftsmen command modern CNC laser cutting machines, and a full range of high-capacity punch presses, shears, and brakes. 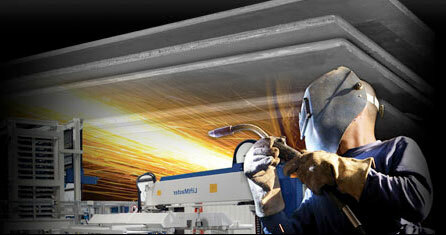 We have 32 welding stations, including pulse-arc MIG, heli-arc, and spot welders. Southern Fabricators, Inc., produces high-quality welded fabrications built to your designs and specifications. We offer the advantage of delivering completed weldments, ready for use, with painted or powder-coated finishes. They are shipped on our own trucks for guaranteed delivery when and where you need them. Our two powder-coating facilities, totaling 25,000 square feet, complete our capability to turnkey your project start to finish. This simplifies your production needs with single-source responsibility. We ship on our own trucks, to maintain quality service all the way to your loading dock.